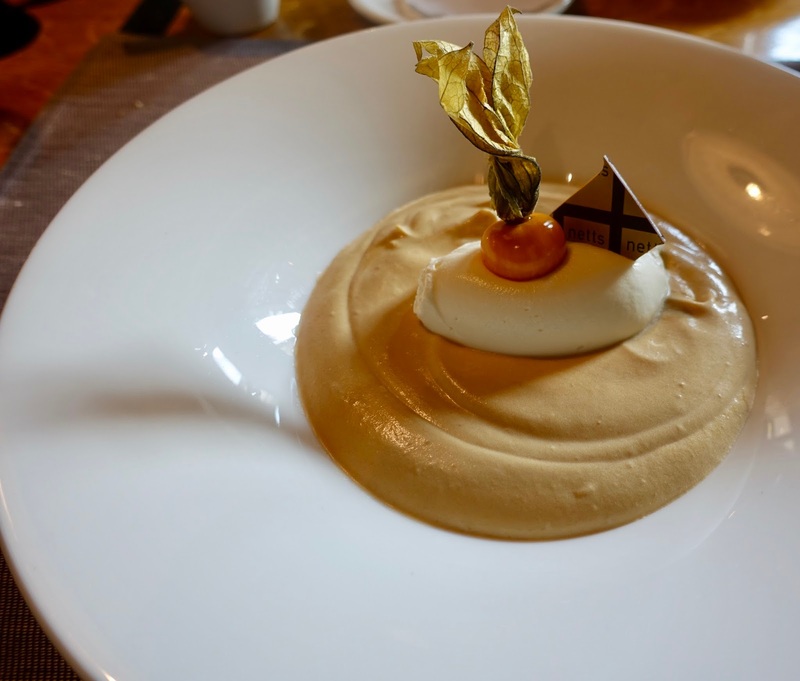 The town of St. Gallen in the eastern part of Switzerland is known for its World Heritage-listed Abbey, but there are also restaurants for food lovers. 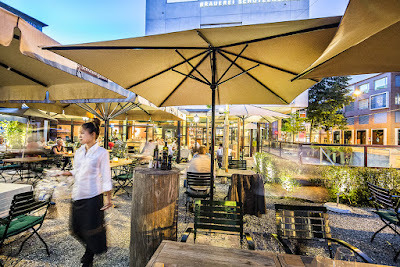 One of them and certainly one of the best known in town is Restaurant NettsSchuetzengarten. 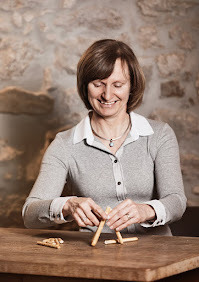 There is not only one of the oldest breweries in Switzerland onsite, but also gourmet cuisine on offer. The restaurant’s location a bit outside the town center is neither especially favorable when coming by train nor particularly attractive. When entering Netts, this is not an issue anymore because you feel comfortable in there. The front part is brewery style, the rear part is more upscale. In addition, there is a terrace with a beer garden. The senior chef, Koebi Nett, and his family did a good job because they managed to make the place an institution in St Gallen. I heard that the restaurant is often jam-packed and this was also the case when I was there with a friend for lunch. I can only judge lunch as this was my first visit to this restaurant and I am from out of town. 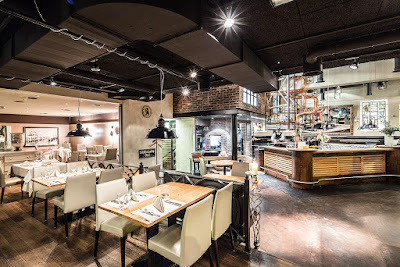 There is an a la carte menu, a few set menus and a business lunch. When browsing through the a la carte options, it becomes apparent that they cater for a broad taste. There are some culinary exploits, quite a few Swiss classics and also some Asian fusion dishes. On that day, the set-menus were reasonably priced but a bit ordinary, the business lunch sounded interesting but was quite expensive. The a la carte selection seems pricewise okay for Swiss standards. 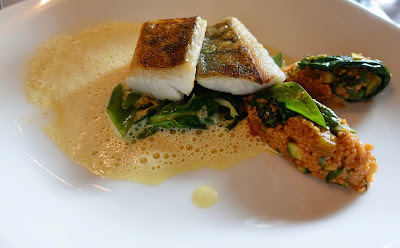 As the set-menus did not appeal to us, my friend and I opted for the main course from the business lunch, a fish dish. For starters, we had the soup from the same menu and a green salad. 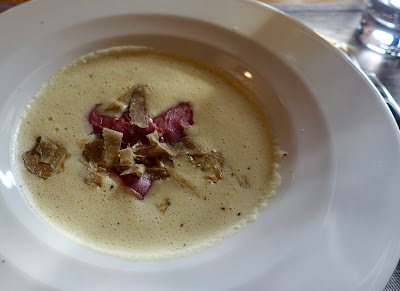 The soup, chestnut with smoked duck breast and truffles, tasted great. It was creamy and the chestnut harmonized perfectly with the duck and the truffles. A green salad is normally nothing to write home about, but this one had not only an exquisite dressing but also some thin strips of vegetables in it. The fish dish, zander with saffron sauce and couscous with vegetables, was nicely arranged, skillfully prepared and really a tasty creation. The fish was tender, the Arabian seasoned side dish delicious and the sauce was perfect, one of the better saffron sauces I have ever tasted. While I was in favor of the food quality, I found the serving size a bit too small, this especially in relation to the quite steep price of SFR 45. As we had not yet eaten enough, we decided to have a – heavy – dessert, a creme brulee Swiss style. This is a cream made with caramelized sugar, eggs and milk, refined with whipped cream and the one with Netts was extremely well done, we were blown away by it! As mentioned, the place was very busy when we arrived. Nonetheless, the kind and attentive staff had everything under control at all times. When we were having dessert and most people already had left, staff took its time to exchange some words with us but without being intrusive. 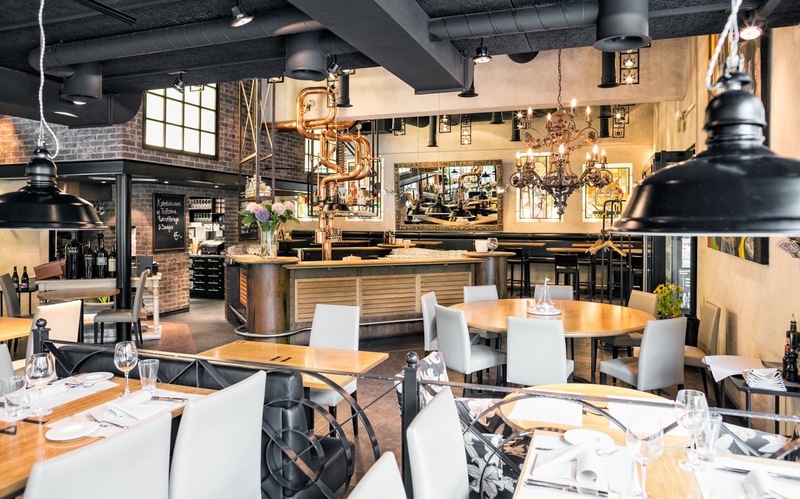 Netts Restaurant with its own brewery and offering upscale cuisine is well known in town. The varied menu offers everything from classics to inventive dishes and Asian fusion cuisine. While I was impressed by the food quality, I found the portion (main course) too small and the price too high. Having said this, I would not hesitate to return to this place with its hospitable staff.